The original Lego Movie was a surprise success, mixing together a popular but plot-less brand of toys and several pop culture references to somehow create a film about creativity among conformity. It worked at a level above its initial premise – no one quite expected it to be as effective as it turned out. 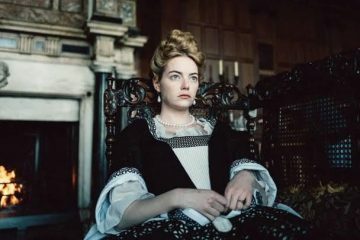 A problem with sequels is that they are sometimes simply more of the same, which can be especially problematic in a franchise that started with a film about rebelling against the status quo. The Lego Movie had to prove itself in a world where toy-based properties are rightfully questioned – it’s important to draw the line between artistic production and glorified advertising. Now that the franchise has secured its place,The Second Part appears happy to fall into a now-familiar groove. The premise is fairly straightforward, with a few necessary twists and turns – the world of the first movie is met with cataclysm after the daughter of the human family is allowed access to the Legos. 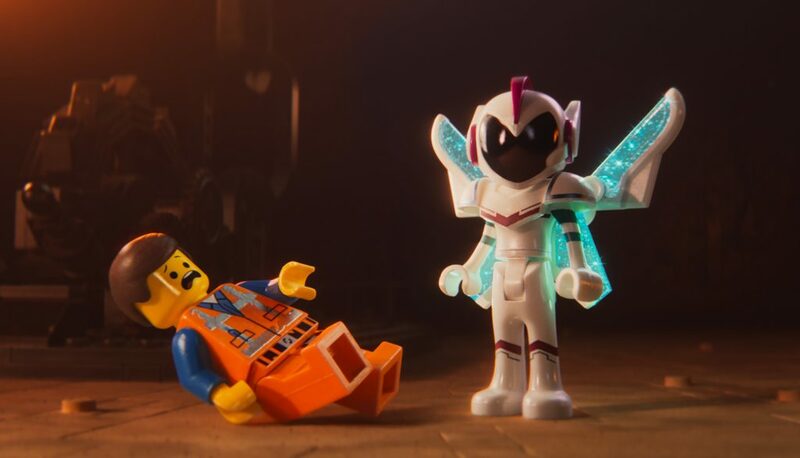 Emmet, voiced by Chris Pratt, must rescue his kidnapped friends from alien invaders. During his journey, he meets Rex Dangervest (also voiced by Chris Pratt), who teaches Emmet a few new ways to interact with the world beyond simply creating. Lucy (Elizabeth Banks), one of the kidnapped citizens, tries to fend off the invaders while watching her friends fall easily under their spell – the obviously evil Queen Watevra Wa-Nabi (Tiffany Haddish) is delightfully charming in how blatant her manipulations are. Where the first film had order, the second carries chaos. Though the film is a bit too familiar, the style holds up well enough to make this a worthwhile viewing. Scenes have a smooth flow and it playfully jumps in and out of various visual styles. There’s always something to catch the eye, though rarely the mind. There are plenty of decent jokes to go around, but nothing coheres to make an overall memorable experience – this is more a collection of fun moments than a centralized narrative force. There’s an issue with the movie feeling too on-the-nose, from its humour to the narrative structure. The pop culture references tend toward the obvious, such as Rex Dangervest’s backstory simply being an amalgamation of every other Chris Pratt role. This particular joke seems to exist largely to draw our attention to the fact that Rex shares a voice with the protagonist – which, again, is a detail treated a little too obviously. The film is also dotted with live action shots that keep reestablishing that, yes, this whole affair is representative of a brother and sister fighting over toys. The messages are simplistic; siblings should learn to understand each other, and also sometimes things aren’t awesome. The Lego Movie 2: The Second Part is perhaps best compared to the over-produced pop songs it evokes – it’s designed to convey a certain light, accessible image, to be easily consumed by whoever comes in contact. These works don’t intrinsically lack value, but great art challenges to some capacity. The original film had the concept of originality to give it a necessary edge – the sequel doesn’t have a clear purpose beyond being a follow-up to a box office smash. In the end, I kept finding myself comparing this film to another sequel starring Chris Pratt – much like the second Guardians of the Galaxy, this second Lego Movie simply feels like more of the same. The originals were both films I truly enjoyed and wanted to see more of, and I can be happy with what I ended up getting. But to make a great sequel, you can’t simply repeat but must also build upon the foundation – and of all franchises, shouldn’t Lego be aware of the need to build?